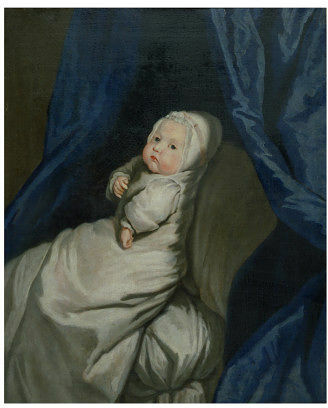 This portrait shows a baby alone and in close-up, propped against white pillows between curtains of dark blue satin. 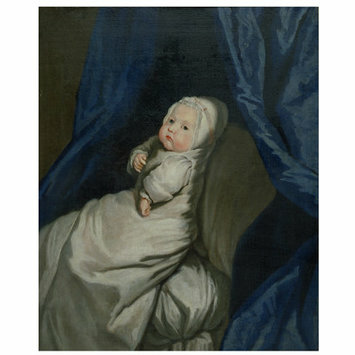 It is unusual in Britain in the 18th century to find a portrait of a baby by itself. Babies are more often shown as part of a family group. Single portraits exist of babies who had died, but they are usually shown in burial clothes. 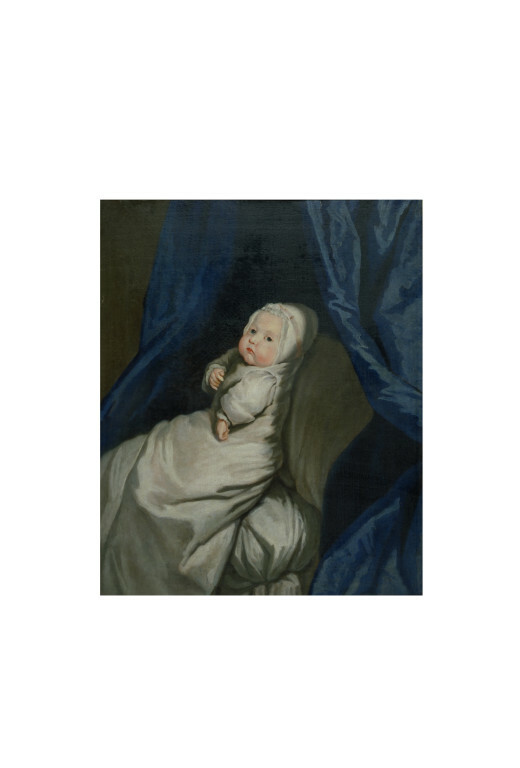 Here the emphasis is on the strong and healthy appearance of the child, who was perhaps the artist’s own. gathered into a frill at the wrist, and a close-fitting cap of white fabric trimmed with lace and a band of pale pink ribbon. The frame is of gessoed and gilded wood, decorated with arabesque forms and grotesque masks.